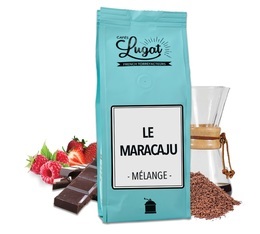 MaxiCoffee offers you freshly roasted then ground coffees by the Cafés Lugat's artisan roasters team. These grand cru coffees coming from exceptional regions are artisanally roasted and ground by us. The coffee grind is adapted to your slow coffee equipments (Hario or Chemex) for the best slow coffee result. Exceptional coffeeDecaffeinated coffeeRoasted by our roasters! The famous Micro-Lot Blue Mountain coffee!